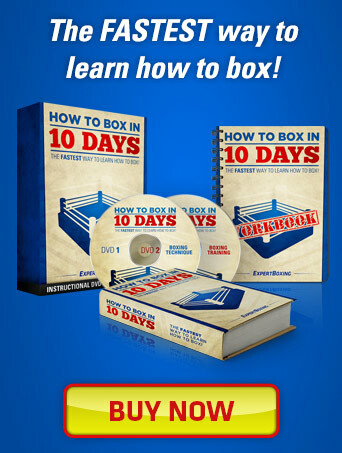 I’ve written a hundred articles on how to box but I never explained why YOU should try boxing. 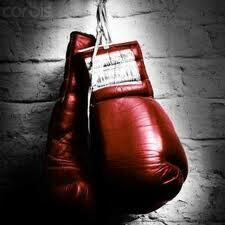 Boxing is more than just a hard workout! Boxing is a fun challenging workout that improves your confidence and gets you in shape faster than anything out there. Try it for yourself and you’ll find boxing to be that awesome exercise you’ve always wanted. I thank God for providing somebody like u. Ur tips to me are as precious as Gold. I have nothing but enough respect for u. Boxing is a game i wish every man to participate in because it defines the real man. May God almighty inspire u the more to educate us.BLESS! 🙂 I agree that brings in more confidence. The best boxing site ever. 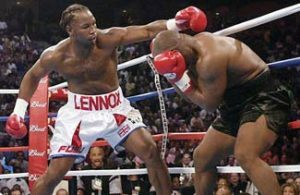 Iam boxing for more then 7years ,and I can tell you its the best website about boxing ever, and all this information is for FREE, please Respect to writer. Mantas, thank you. My sincerest gratitude! I’ve been a regular exerciser for years. I’m 34. Over the last year, my motivation and interest to train diminished, so a friend invited me to a local boxing gym. What can I say, i’m hooked; pun intended. My fitness has increased tremendously and there’s never a boring moment. Plenty of challenges each time, and a great trainer aswell. I’ve also found i’m not bad at it. Not quite sparring level yet, but I can see this being a life-long pursuit. It motivates me to keep healthy out of the gym too. Good luck Keenan, you’ll have a blast i’m sure. hey johnny…you had me laughin with this one: “Many people think boxing is challenging because getting hit in the face must be painful.” of course, it’s definitely true….and if you’re sparring for a while you’re bound to get a good knock on the button at some point. i think people are worried, and rightfully so, about long-term effects on the brain. you didn’t mention much in your article about that. in your opinion, what are the risks? why not go through other types of cross-training that don’t involve the taxing blows to the head? if you had to recommend a cross-training program which one would it be. i’ve seen lots out there…crossfit, p90x, insanity, etc. just curious! @scott m – actually, it is possible to train boxing without sparring (getting hit in the head). many of boxing’s exercises have incorporated all that stuff you see in p90x, crossfit, etc…for many years. Do you think it is safe to practice boxing if you just train and do some sparring? at which level does the “real” risk beginn? i know getting hit in the head sometimes isnt ideal for the brain, but at least i would believe im gonna be the next Einstein, i dont believe its that bad. Did you ever ask yourself these questions? Don’t take shots you can’t handle. If it hurts, stop! 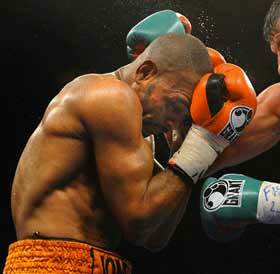 Higher level fighters (or more genetically gifted ones) can take harder shots. This is the most helpful review i’ve ever searched for boxing, you get me motivated for the sports. Now I try and face some hard, challenging session of boxing….cheers!!! 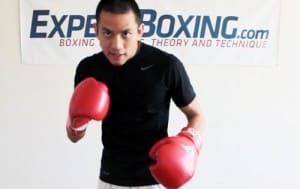 Hi there guys i only went for a introduction to boxing in the gym and i so much want to join but im just finding myself browsing the net doing research about boxing,im 33 and REALY want to join a boxing gym,any tips please :)? i think this really helps me learn what i want to do when i get older and grow up to be a strong women and to teach that you can be a girl and still play a boy sport don”t stop just because a girl or a boy says you can not do it because you are a girl just be your self and do what you want to do. Hey Johnny! Love your channel a lot man! I have a very amazing question for you and i really need your help, I know you’ll give some great advice, i get your a very busy man, and i get that, but i want to do something amazing that can possibly bring it back to where everyone does it, but I want to see if they could put boxing in school, I live in Butte, Montana. They actually used to have in here in schools and i see team pictures from those teams, but I know you have a lot of knowledge of boxing, and i was wondering if you can give me a lot of advice that can maybe convince the whole MHSA ( Basically the whole school state board ) about starting boxing in schools, advice about insurance ( i know USA boxing has a insurance program though) sponsors, and other things i might need to know. I feel that there will be some people on the school board that would be against it.. that’s when maybe i could counter it and convince them, maybe you could give me some other pointers about what they might try to use against me so i could find out a good counter, thanks to this article i could talk a lot about benefits, injury but a lot of advice would be amazing because I’d love if boxing would be a school sport, and i know you would to! I’m very confident it can happen, I already talked to athletic director about starting one, he said its a awesome idea, but the whole state would have to agree to it before they even start one, so if i can get a lot of great advice about it, i want to create this very big presentation that talks about everything, but i need to know everything! so johnny maybe if you can give me some advice so i can start boxing in school cause it be the best!!! Thanks Johnny i was hoping i could talk to the school board soon so if i could get some advice fast, that would be amazing! P.S thanks for this useful article!